Our product range includes a wide range of horizontal pipette stand, vertical pipette stand and rotary pipette stand. 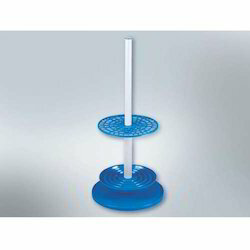 We have gained a remarkable position in the industry by offering a qualitative assortment of Horizontal Pipette Stand. Available in numerous sizes, designs and shapes, this range is sturdy in design and requires less maintenance. The entire range is rigorously tested under the strict inspection of our quality controllers. The offered range is manufactured employing high-end technology and well-tested raw material in adherence with set industry defined guidelines. 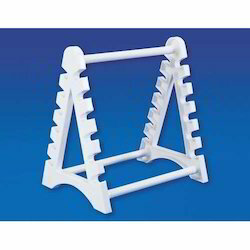 To keep the client satisfied, we manufacture & supply high quality Vertical Pipette Stand. Our offered range can be availed in a wide range of sizes and shapes as per the requirements of our esteemed clients. Our skilled professionals only utilize pristine quality raw material, while manufacturing the entire range. Being a quality-oriented organization, we assure our clients that this range of eyewash is the best in quality. Our valuable clients can avail this stand from us at market leading prices. 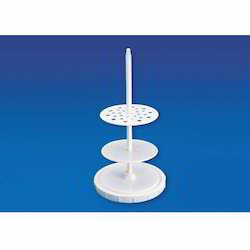 As per the variegated requirements of our clients, we are offering a broad collection of Rotary Pipette Stand. In order to ensure quality, this range is stringently tested on various parameters by our quality experts. Provided product is manufactured using fine quality raw material and progressive technology by our skilled professionals. Apart from this, remarkable quality, excellent deigns and durability increases the demand of our offered range in the market. Looking for Pipette Stands ?